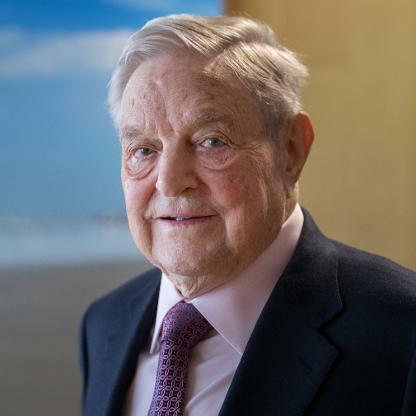 George Soros was born in Hungary and survived the Nazi occupation of Budapest and left communist Hungary in 1947 for England, where he graduated from the London School of Economics. In 1956 Mr. Soros moved to the United States, where he began to accumulate a large fortune through an international investment fund he founded and managed. Today he is Chairman of Soros Fund Management LLC. Mr. Soros has been active as a philanthropist since 1979, when he began providing funds to help black students attend Capetown University in apartheid South Africa. Today he is Chairman of the Open Society Institute and the founder of a network of philanthropic organizations active in more than 50 countries in Eastern Europe, the former Soviet Union, Africa, Latin America, Asia, and the United States. These foundations are dedicated to building and maintaining the infrastructure and institutions of an open society. In 1992, Mr. Soros founded the Central European University, with its primary campus in Budapest.